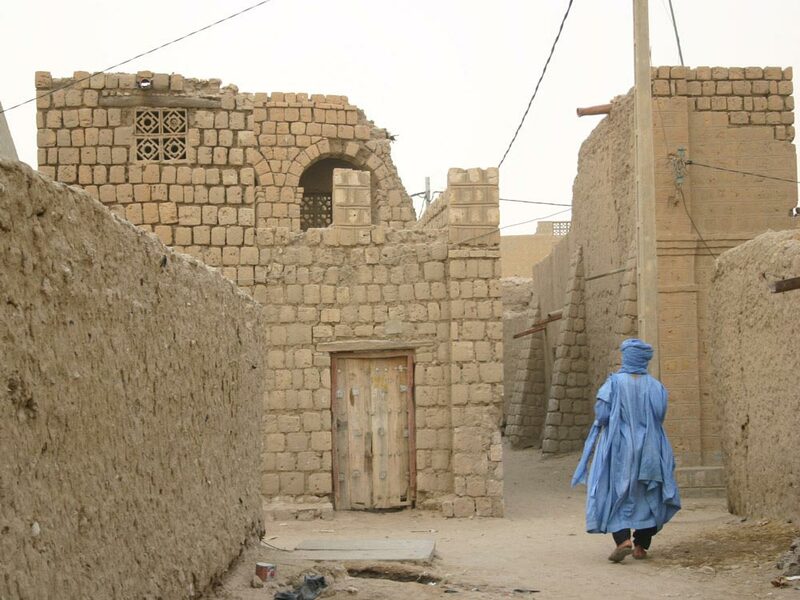 Timbuktu was once a fabled city of gold that conjures up mysterious images and arouses curiosity. Neither it’s an expression for an outlandish place nor a destination existing only in hyperbole. Timbuktu sits near the big bend of the Niger River on the cusp of Sahara in Mali – a lost treasure of West Africa. Once a fabled city of gold and an intellectual capital is now a town of mud-brick mosques and sandy streets where camels meet the canoes. With otherworldly calm and post-apocalyptic-Marrakesh vibe, it conjures up mysterious images and arouses curiosity. Even its spelling (Timbuktu and Tombouctou) adds to the allure that’s being invaded one grain at a time. Sankore University – Founded in the 15th century, it is one of the oldest universities in the world. Comprising three structures of Sidi Yahya Mosque, Djinguereber Mosque, and Sankoré Madrasah, the site was inscribed as a UNESCO World Heritage Site in 1988. The mosques, rendered in mud, are made entirely of organic materials such as fiber, straw, and wood. Djinguereber Mosque has three inner courts, two limestone minarets, and 25 rows of pillars. Heinrich Barth’s House – Barth was a German explorer remembered for his visits through the Sahara and northern and western Africa. This tiny museum contains significant reproductions of his drawings, manuscripts, and extracts of writings. Ahmed Baba Institute – Established in 1973, it is named after a local scholar Ahmad Baba al-Massufi. This center, covering an area of 4,600 sq. meters, holds approximately 20,000 manuscripts from the 14th to 16th centuries – when the trading town was flourishing. Visitors can attend seminars about subjects such as Arabic calligraphy and writing in African history. Bandiagara Escarpment – Located south of the city in the Dogon region, these sandstone cliffs stretch for about 95 miles. This chain is marked by Mali’s highest peak – Hombori Tondo – at 1,115 meters. Guided trekking, hiking, and camping tours are popular in this UNESCO World Heritage Site. Great Mosque of Djenné – Built in Sudano-Sahelian architecture, this mosque is the largest mud building in the world. It lies in Djenné, a city in the Niger delta, that is renowned for its characteristic adobe architecture, ornately decorated doorways, and slanted mosque. Grande Marche – This covered market is a beehive of activities. Not as lively as the souks of northern Africa, but keep your eyes open in this clamorous Monday market for the leather goods, spices, clothes, and souvenirs like necklaces or knives. Relax yourself with a drink in one of the restaurants at the rooftop, mingle with locals to get an overview of town, and plan your next destination. Boat Rides – Take a ferry or a boat trip, slower but more comfortable, to discover the distant towns along the banks of Niger River. Pinasses (traditional wooden boats) from Mopti to Korioumé (nearest port from the town) operate in the river when it is navigable for three months during the rainy season. Camping and Camel Rides – If boat rides are not your cup of tea, hop on the back of a ‘ship of the desert’ to explore the landscape of Sahel region. Check out the oasis of Araouane, salt mines of Taoudenni, and get a taste of nomadic Tuareg lifestyle while going on overnight camping tours offered by local operators. And if you’re looking to really venture out in the Sahara, take a week-long tour that takes you all the way to Morocco. On your way to Timbuktu, one comes to terms with not expecting luxury suites. Hotel la Colombe and Hotel Azalai offer decent accommodations and amenities. For budget travelers, Hotel Campement Bouctou and Sahara Passion are good options. There are a number of bars, cafes, and restaurants around the main street and the Grand Marche. Le Souvenir, a rooftop restaurant, serves dishes ranging from mutton kebab to sweet potato fries. Poulet d’Or Restaurant and Amanar Restaurant serve authentic African cuisine. Pattiserie Asko, stands opposite a post office, serves rice or couscous with sauce, beer, and soft drinks. The town is located 12 miles north of the Niger River on the southern edge of the Sahara Desert in central Mali. From November to February, when the weather is relatively cooler, is the ideal time to visit Timbuktu. Avoid extensive traveling during the rainy season (July-September) as the roads are often impassable. By Air – You can fly into Timbuktu Airport (TOM) from Mopti or Bamako (the capital of Mali). Bamako Senou International Airport is the international gateway to the country. It is served by African, Middle Eastern, and European airlines. 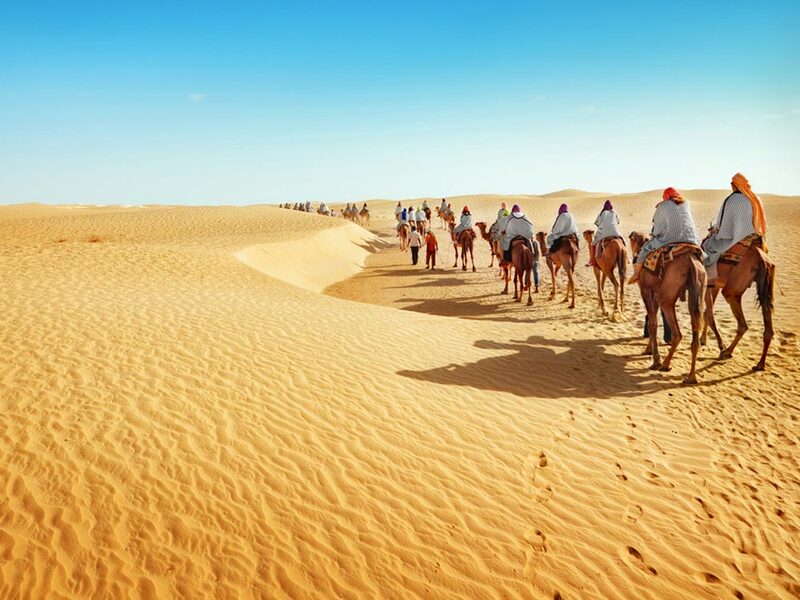 By Road – Popular modes of transportation are bus, shared cars, camel, or cart. Since most roads in the urban areas of Mali are not paved, so prefer flying or traveling by boat. Getting around the town is easier, as all the mosques located in the old town can be reached on foot in a few minutes. It is the capital of Timbuktu Region of Mali. The city was first settled in 11th century by the Tuareg Imashagan (Tuareg people). It is located about 628 miles (1,011 km) from Bamako and 250 miles (403 km) from Mopti. René Caillié, a French explorer, was one of the first Europeans to enter the city.